Stop copying keys, leaving them under mats or in fake rocks. Create virtual keys and grant custom access for a few weeks, hours or even specific dates and times. Create virtual keys and grant custom access for a few weeks, hours or even specific dates and times. 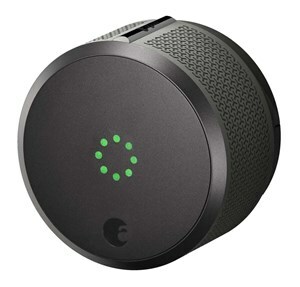 Automatically unlocks as you approach for a hands-free entry and can automatically lock behind you for peace of mind. Integrates with the full range of August products and services to make your life easier.